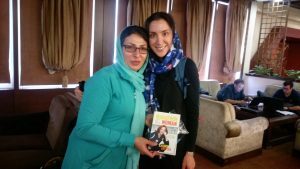 In April, 2016, 44-year-old Mahsa Torabi (pictured below) became the first woman to ever publicly finish a marathon in Iran. She set out across the Persian Gulf to Shiraz. It was 6am, and the only sign that the first International Marathon in Iran’s history would take place that morning was a ribbon across the starting line. She ran her first Iran marathon in just about 5 hours and 30 minutes, in her patterned Hijab, without a bib, without tracking, and without any water stations. 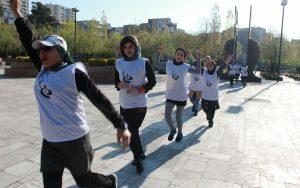 Then 2 hours later, the officially registered 250 competitors from 26 countries lined up for the first Irun Iran race event . There were no women runners among them. Not a single one! Despite this Mahsa got her medal. Mahsa is an ambassador for the Free To Run Foundation whose mission is to use running, physical fitness and outdoor adventure to empower and educate women and girls. (See her full biography below). On Friday April 7, 2017 Tehran saw history being made again around the I Run Iran International Tehran Marathon. Women were allowed to run for the first time for 39 years, albeit a 10K distance and not officially in the full marathon. 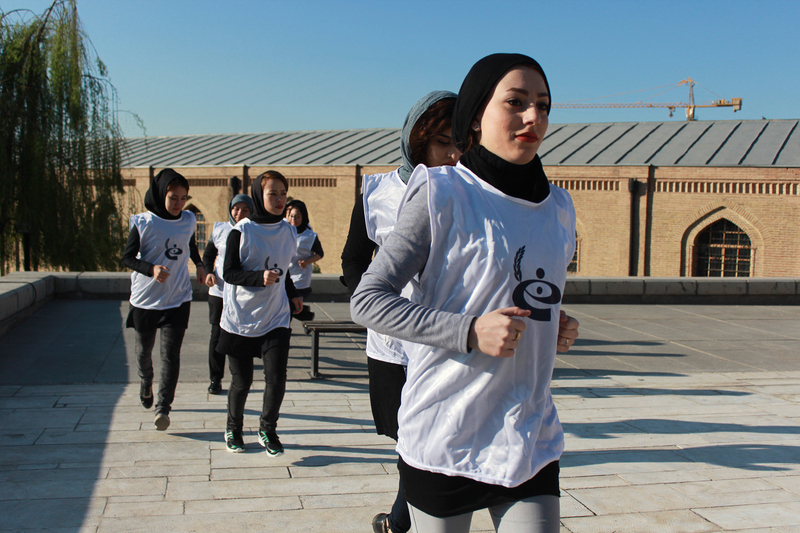 12 young women from OMID were amongst these runners, having had the honor of training with Mahsa. They were also joined on the race, by recent Ultra-Marathon runner and OMID fundraiser Zahra Ashrafi. So here is our review of an incredible weekend for OMID and international women’s sport, where two incredible role models joined forces with some of the young women of OMID and made a profound, historical and hopefully lasting difference. 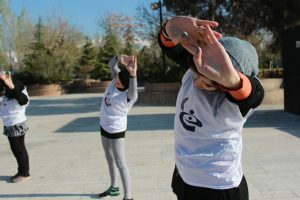 OMID first heard about the second marathon race in Iran and the first official race for women through Zahra Ashrafi who’d planned to complete her goal of running a marathon in each continent by running in Iran. We wanted to see if some of the young women in our program wanted to compete in the race, so we started to look for a suitable trainer and were fortunately introduced to Mahsa who kindly volunteered to train our young women. With the race happening right after the Norouz holidays, this included intensive training sessions at OMID during the weeks before the race. In addition to this intense training schedule, there was still uncertainty around whether or not a women’s race was going to take place. With just a week to go, we were told the organizers were ready to receive registration from Iranian participants. 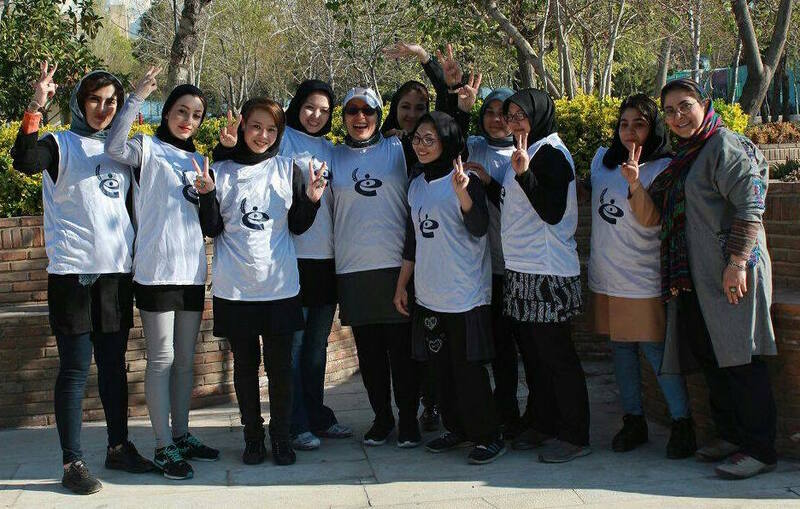 We had 12 Iranian and Afghan young women to register for the race. 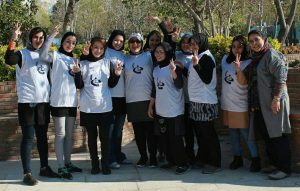 The website allowed registrations for Iranian women only. Fortunately, Mahsa through her powers of persuasion and perseverance was able to assist us to register all 12 young women. 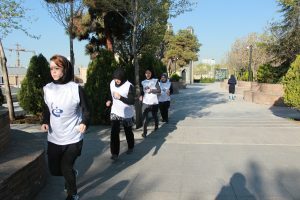 The women’s race, the first to take place in Iran, was a 10K distance outside the Azadi Stadium and there were participants from all over the world, The race started at 4pm and was over by 6pm. 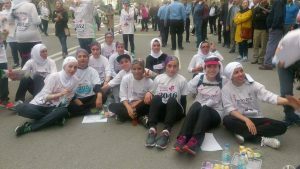 We’re very proud to report that all of the 12 young women from OMID who participated finished the race. Susan Sarvari was the first in our young women to cross the finish line and ahead of many other participants. In all 200 women from 61 countries (including Denmark, Canada, Croatia, Hong Kong, Holland, Iran, Sweden, Switzerland and the USA) took part in the 10K women’s race. In the days leading up to the race, it was hoped that the organizers would allow women to run the full marathon course, with Zahra and a group of other women from all over the world, joining Mahsa in an early start of the official marathon course, but some four hours before the start of the men’s race. Despite some inaccurate reports by some mainstream media, the women were NOT given permission to run any further than the 10K race. 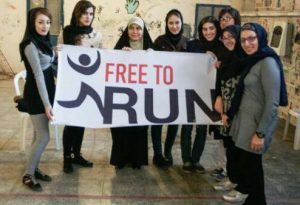 The organizer, from Holland, had concealed the fact that IrunIran only had permission for women to run 10K. After much frustration, but with steely determination on the day, these women got up early and ran a 32K distance before joining the official 10K women’s race. “My dream materialized , I became what I always saw on the TV.” Susan Sarvari. This was a remarkable achievement and unforgettable experience for our young women and we are planning to continue to work with Mahsa, who we cannot thank enough, to train the girls for more upcoming events. Thank you also to Zahra for running with our young women and visiting them afterwards. The visits of both of these two great role models will leave a lasting impression on the young women who met them and will inspire future young women at OMID to believe anything is possible too. We also thank our sponsors who generously provided the funds needed for the training, purchase of equipment and outfits for the young women to run in. Mahsa is an Iranian woman, ambassador of Free to Run organization, and is currently living in Iran. She is dedicated to providing sports opportunities for other women in her country. 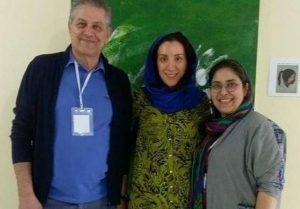 About ten years ago, she broke barriers in Iran by negotiating with the cycling federation to be allowed to travel by bicycle alone. She opened the way for other women in the country wishing to cycle and started her own cycling team. 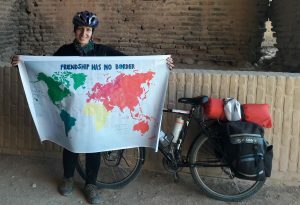 In recent years, Mahsa has combined her love of cycling, climbing and running including an expedition from the lowest point in Iran (28m) to the highest (5,671m at the summit of Damavand mountain). She ran the 1stInternational Iran Marathon especially for men, as mentioned above. 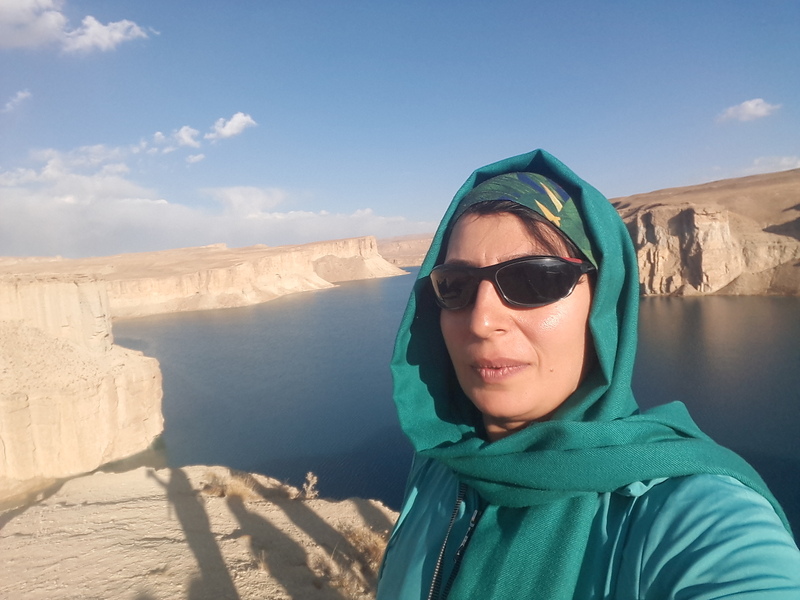 Mahsa also took part in the Iran Ultramarathon in Kerman in May 2016, which is a 250km self-supported footrace, in the hottest point in the world. There were 460 men in who took part in the 40K marathon race 160 Iranian and 420 from other countries. This was the second IrunIran marathon. The first I Run Iran event was held last year in Shiraz for men only. 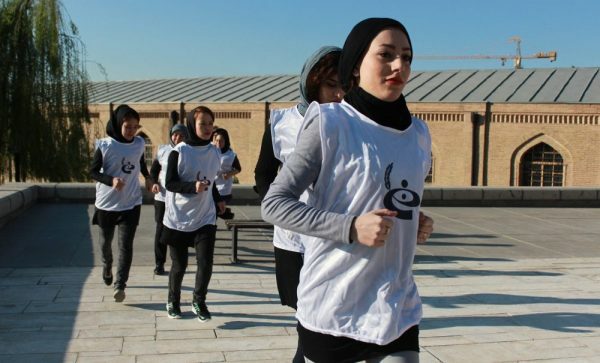 There were 116 women 56 Iranian and 60 other countries in the women’s 10K race. This was reported to be he first race for women ever in Iran. 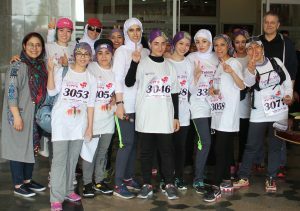 14 Women ran at the Boos-tan e Beheste Madaran women’s park (32K) and 10 women went on to also run the Women’s 10K in the Azadi Stadium completing a full 42K marathon distance. 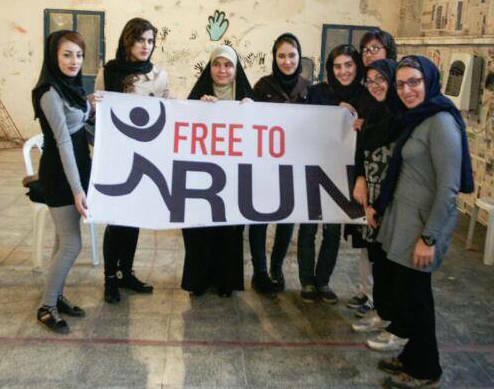 Free To Run operates on the basic principle that sport is a human right and not a luxury. To read more about Zahra Ashrafi or to donate to her fundraising page please click here.